The groundbreaking street dance group, Autism with Attitude (AWA), are set to bring the poise to Apple’s flagship store in Covent Garden on Friday 5 April. 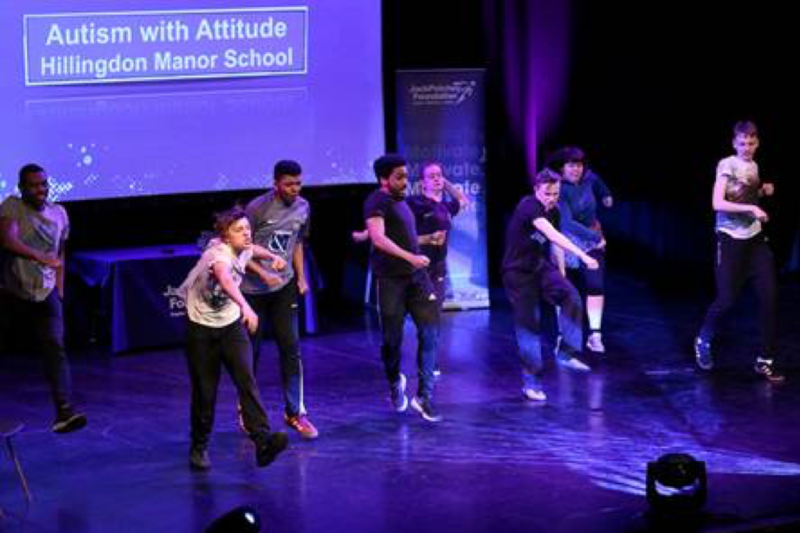 Performing at 5.30pm as part of World Autism Awareness Week (1-7 April), the troupe – from Hillingdon Manor School, Uxbridge – will be joined by five singers and dancers from Autism’s Got Talent, the show created by Anna Kennedy, autism ambassador for Options Autism. Hillingdon Manor is a member of Outcomes First Group, providers of specialist education and support to autistic young people aged from three to 19. AWA formed there in 2013, before going on to showcase their moves at Autism’s Got Talent later that year. They have since found acclaim at all manner of mainstream international competitions, challenging commonly held perceptions about autism along the way. In February of this year they became the first special needs dance team to qualify for the United Dance Organisation’s World Street Dance Championships, taking place in August. Jonathan Baron, professional dancer and AWA’s teacher, recently won a national inspirational teacher award. He introduced dance classes to Hillingdon Manor six years ago, and now teaches dance to more than three quarters of the school. According to the Department for Education, 2018 saw the percentage of pupils with special educational needs increase for a second consecutive year. So, the responsibility lies with teachers to ensure they are doing everything they can to accommodate these pupils, and make their educational experience fun and informative. Autism’s Got Talent is now in its eighth year, and 20 performers will be showcasing their talent at the Mermaid Theatre in London on May 4.